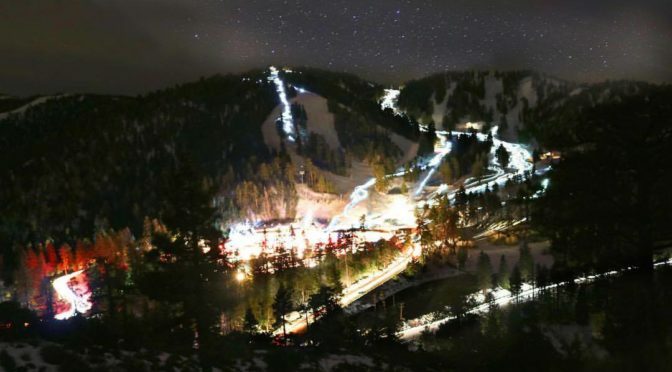 Wrightwood, CA – Southern California’s popular Mountain High ski resort has been sold by Ski Resort Holdings LLC, an affiliate of Oz Real Estate, to Mountain High Reunited (MHR). The MHR group includes Mountain High’s current president and CEO Karl Kapuscinski, its senior management team and MHR investors. Terms of the sale were not released. The current Mountain High management team will remain in place and continue to operate the resort. MHR is essentially the same group that owned Mountain High in the mid-2000’s before selling it to CNL Lifestyle Properties. Given last year’s wet winter, Mountain High anticipates a strong 2017-18 season. With nearly three times as much water available for snowmaking compared to last year, the Mountain High team is busy preparing for the upcoming season, which is anticipated to begin in mid-November. Mountain High will remain a member of the Powder Alliance, a group of 16 domestic and international resorts that share reciprocal season pass benefits. Spread across three separate mountains, Mountain High consists of 16 lifts and 59 trails. It is the only regional resort with night skiing available seven nights per week during peak season. Mountain High’s winter season traditionally runs from mid-November to mid-April.